Download the Trialist form – complete and return – could you be one of Bath and Wiltshire’s best players? Participate in the most exciting games programme in the South West of England. Following months of preparation, the Bath International Cup has now ended with Rayo Vallecano once again taking the role of champions with some scintillating performances with Reading a close 2nd having only conceded the one goal! Many thanks to Lisa Pigot and her team at the premier League for the meticulous organisation and planning. Also thanks to our young referees who braced all weathers, and to the legion of parents who worked alongside Ray Li’s catering firm to provide the boys and spectators with excellent nourishment throughout. Well done to all coaches and players, it was a fantastic weekend and we hope to see you again in the near future. Safe journey home. Passing through Denmark to get home, BWB played the U14s and under 15s from top Danish team Brondby. The age difference and the great made their mark however as they boys got a lesson in both age groups, probably recording their heaviest defeats ever. It was a shame after such a good week, but the surfs cannot be faulted for their effort against the difficult challenges of the day. Now time for home and a a gamble at the airport; will Dangerous get home…? Friendly games continued in preparation for the start of the tournament. We played BK Hacken and Zenit and also trialled the player/coach communication system which worked well. With good performances under our belt we then turned our attentions to preparing for the Monday’s events. A good team discussion at the club house and an early night set us up for two wins on the Monday with the 13s playing at the Heden arena. The highlight o the day was undoubtedly the Opening ceremony during which the Surfs carried the St George’s flag around the stadium. In front of a crowd of 55,000, the 29 boys clustered together around and strolled around the stadium waving at the cheering public – only the Welsh did not cheer! It was a levelly experience for all so thanks to Gothia for selecting our boys. Dates are released for the BWB03 District Trials – Download the trialist registration form, complete and post to the address given on the form. 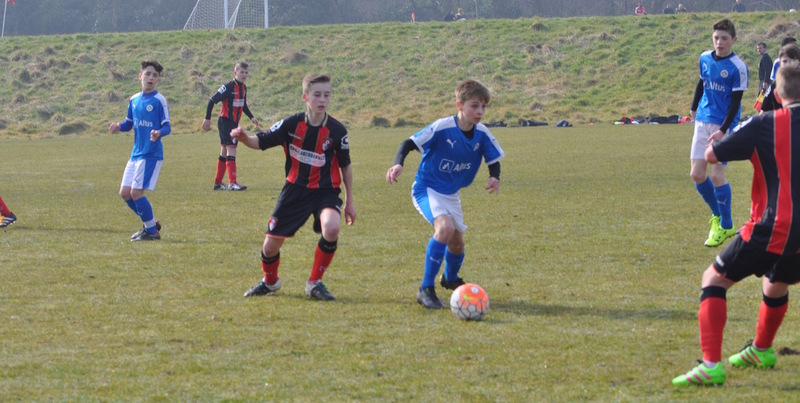 A number of boys made a journey to the south coast at the weekend where they were hosted by AFC Bournemouth for games. Both games were competitive and our surfs did the region proud with two solid performances. Most pleasing was that teams with boys from mixed age groups were able to seamlessly slot in alongside each other and play with the same philosophy and energy to good effect. Well done chaps and thanks to all the parents who made the journey. Follow the international Cup tab on the homepage for images of this year’s tournament.